Do you know that if you are unemployed and want to start a business that Jobcentre Plus can help? Jobcentre Plus offers a nationwide scheme called New Enterprise Allowance (NEA). NEA is designed to help unemployed people start a business. If you are over 18 and claiming job seeker's allowance, employment and support allowance or income support, you may be eligible to enrol on to the scheme. If you are interested in the scheme your Jobcentre Plus coach can refer you to the pre-NEA workshop called Link UP/Start UP. The workshop lasts for 3 hours and is designed to help you understand what is required in starting a business, how to do business planning, marketing and cash flow forecasting. It also allows the business advisor to choose candidates who are more likely to succeed in starting a business. If you are accepted on the scheme you will be allocated a business advisor, who will mentor and provide you with help and support in starting a business. The scheme lasts for a maximum of 77 weeks which is broken into 3 stages: business planning, commence trading and business owner/in-trade stage. The business planning stage will last for a maximum of 12 weeks. Your allocated mentor will help you to create a business plan, cash flow forecast and personal survival budget. You will have a minimum of 3 face-to-face meetings to assist you with starting a business. If you can demonstrate that your business requires a loan, you can apply for a loan of up to £2,500, which is subject to your to credit score and status. On successful completion of stage 1, you can continue to the ‘Commence Trading’ stage. If you are ready to start trading you can do so, if not you have a maximum of 13 weeks to get your business off the ground. During this time you can apply for a loan, buy stock, search for premises and anything else that you need to start trading. When you are ready to start trading you will need to inform your business advisor and Jobcentre Plus coach, and they will assist you in completing the New Enterprise Allowance Grant. *£33 per week for the remaining 13 weeks. (You will need to provide proof to the NEA admin team that you are still trading or payments may stop). If you require additional funding consider getting in touch with Start Up Loans, a government backed scheme which is the ‘big sister’ of the NEA loan. They generally offer low interest loans of approximately 6.2% APR with a limit of £25,000 but note that it's capped at £2,500 on the NEA scheme and you can only apply if your business is less than 2 years old. Loans are subject to status and a credit check. If you require a loan you should apply once your business plan has been approved, as loans usually take up to 4-8 weeks to be processed. Once trading you will be offered 52 weeks of in-work support which consists of workshops, guidance and approximately 4 one-to-one meetings with your business advisor. You may be eligible for New Enterprise Allowance if you’re over 18 and you can show that you have a business idea that could work. 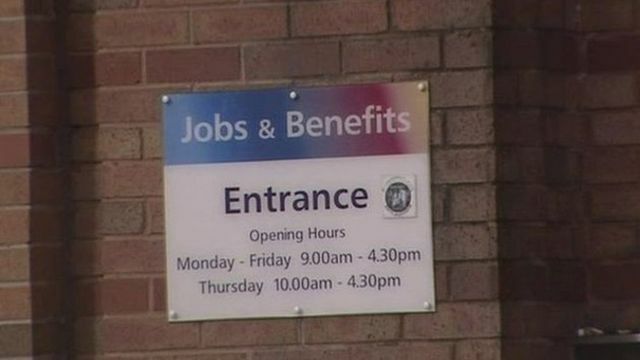 You need to be getting one of the following benefits: Jobseeker’s Allowance (or your partner does) Employment and Support Allowance (or your partner does) Income Support, if you’re a lone parent, or you’re sick or disabled You may also be eligible if you get Universal Credit, including if you’re already self-employed. Back to Work Enterprise Allowance Scheme?